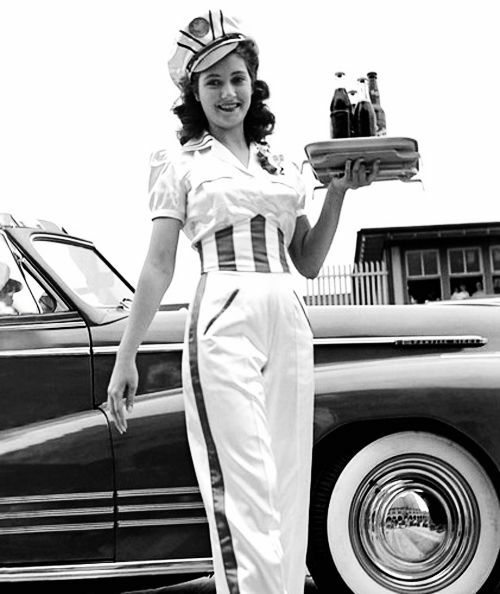 This month’s theme was food, so I took inspiration from this 1940s carhop girl. 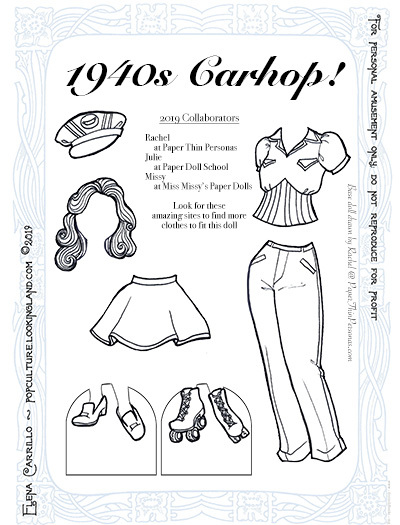 The short skirt is definitely more 50s-style, but I’m not going to get fussy about the details here. I had originally thought of doing something cheesy like Miss Chiquita, but better sense prevailed. I really should have drawn her a tray with some burger or something on it. Anyway, hope you still enjoy! That said, I’m still happy to be part of this collaborative!